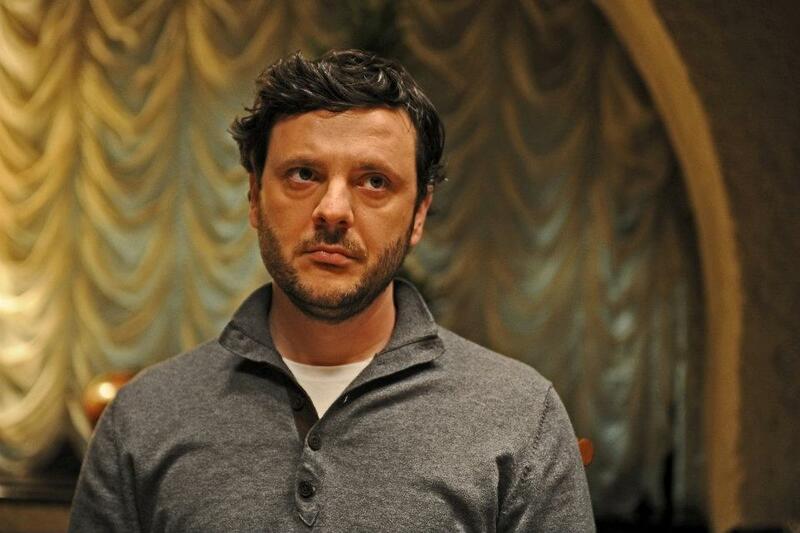 Calin Peter Netzer directs a powerful family drama of characters under Romania’s post-communist corrupted society. Golden Bear at the 63rd Berlin Film Festival. The Romanian New Wave still retains its dynamic at the scene of the international film festivals and despite the continuous internal changes remains close to its original genre, the slow-burning social dramas. So it is normal that Calin Peter Netzer’s last film is not an exception to this rule. Child’s Pose (Poziția Copilului) is the third feature film by the Romanian helmer and participated at the 63rd Berlin International Film Festival where it was awarded with the Golden Bear and the prize of the International Film Critics Association (FIPRESCI). Also, the film is the Romanian proposal for the nomination of the upcoming Foreign Language Film Academy Award. Cornelia (Luminita Gheorghiu) lives in Bucharest, she is a wealthy well known socialite, she is dealing with the arts and she loves the opera. She seems careless and easy-going especially when she decides to celebrate in the most luxurious way her 60th birthday. Despite all these facts, Cornelia’s most important part of her life is being a mother. Her only son, Barbu (Bogdan Dumitrache) is 33 years old, married and Cornelia has with him a strictly sensitive and controlling relationship. Her harmonious life was abruptly disturbed one night when she learned that her son while he was overtaking at high speed on a country road, killed a 14 year old boy. From that moment, Cornelia will use every legitimate and illegitimate way and every imaginable acquaintance in order to save Barbu from going to prison and from his plausible conviction. Alongside her intrusive conduct of his life will reach higher levels which will cause new clashes in their already tense relationship. Child’s Pose could be summarized as another strictly locked family drama with explicit evidences of Oedipus complex. The alarming and largely enforced relationship between mother and son is the main idea behind the film. Without a doubt similar couples of despotic mothers and submissive sons have already been presented successfully in the past. The fact that differentiates Netzer’s film is contained in its secondary social symbolism. Cornelia is not simply The Mother. She is also an eminently typical example of the new rich bourgeoisie which appeared and prevailed not only in Romania but also in the majority of Eastern European countries during the latter 25 years. By inheriting the promiscuity of the former nomenclature, the new Romanian elitist upper-class does not know any kind of refusal from anybody, knows how to corrupt anyone needed, has acquaintances in the public and social life that can always affect, is not faithful but believes in a personal and theoretically superior religion, has the necessary financial wherewithal to buy anything and of course can always perform in a variety of roles. Cornelia is simply the incarnation of The Class. The Mother ignores any kind of barriers because she’s driven by her subjectively good purpose that works for her in a cathartic way and justifies all her lawless acts. So while seemingly Cornelia’s microcosm begun and ended at Barbu’s life now it can no longer be limited there and also affects the lives of the others, especially the weaken ones. Luminita Gheorghiu had already been known by her previous roles in films of the Romanian New Wave (The Death of Mr. Lazarescu) but this is her first role as a leading actress. Her performance is catalytic since likewise the heroine she must perform in an extreme way in any case. Gheorghiu’s long theatrical experience is essential for this role as Cornelia needs an excessive and unnatural approach since she doesn’t seem that lives in a “realistic” reality but she is constantly trying to adapt to the unknown to her situations from a remote distance. Netzer co-wrote the script with the experienced scriptwriter Razvan Radulescu and they both deliver probably their most mature and complete work, although his direction has some shortcomings. The director prefers to work almost exclusively with hand-held camera and as he strives to preserve the naturalness of the image he adds more than necessary nervousness in his shots while he maintains dark colors and lighting. This is not always required and could be tiring for the final viewer. As it was already mentioned, Child’s Pose is a slow-burning drama, but even with that in mind there is a needless delay of the necessary climax of the drama which reduces the overall agony and the some of the film’s momentum. Netzer with Child’s Pose delivers a powerful family drama of characters and he is avoiding the easy sentimentality and the useless provocations. While he is observing with fear the cruelty of the upper-class, he doesn’t meaningfully criticize it as he would probably like. Maybe the director by being trapped in a “lower” social class is sharing the same feelings as the son and like him he is still hoping that The Mother will free them when she won’t be any more lost between the seriousness of Bach and the lightness of the Italian pop.